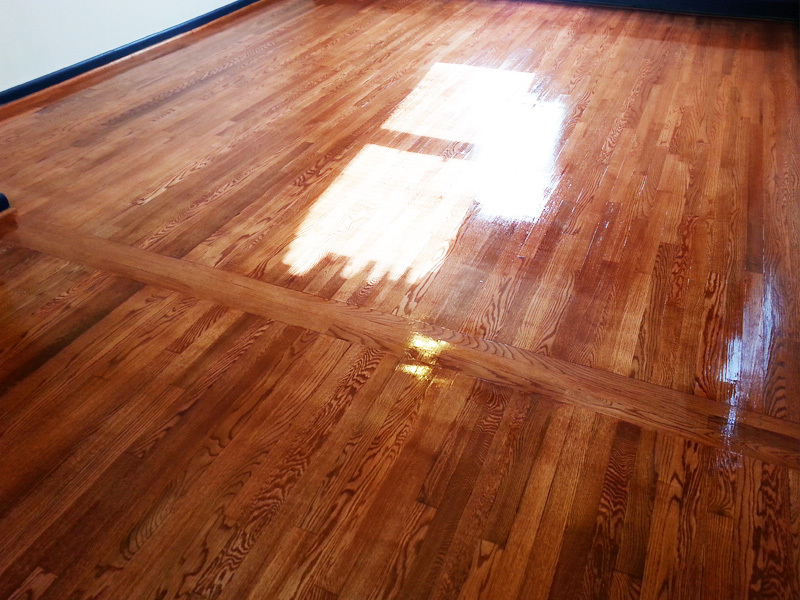 We can handle any type of repair when it comes to hardwood floor repairs. 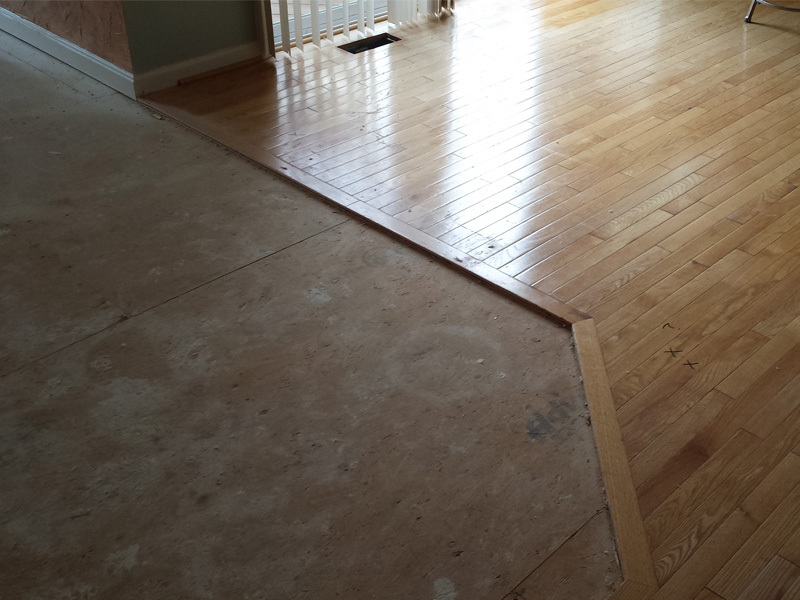 Whether you need a few boards to be replaced, stains to be removed, toothing/blending into an existing floor, or a complete replacement of your floors, we can fix it! 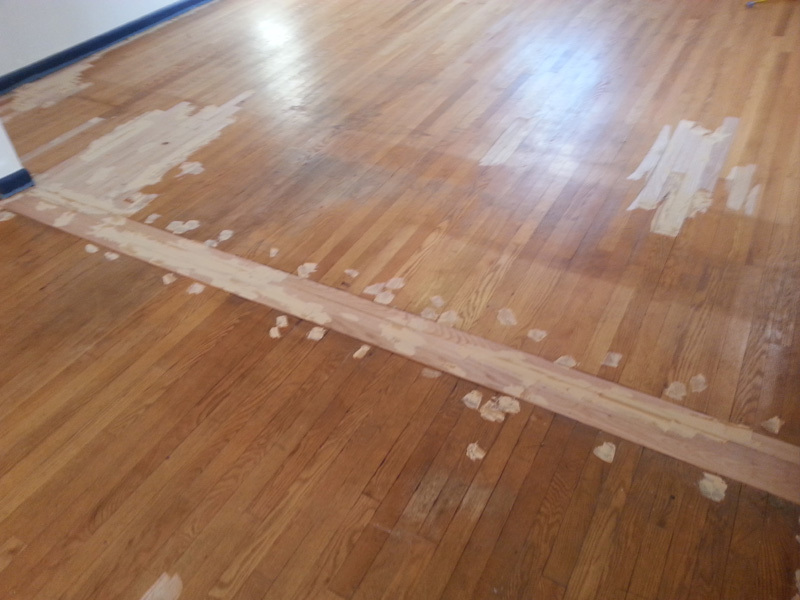 When sanding, we always attempt to sand out the stained spot first, to see if we can remove the stain without having to replace the board. 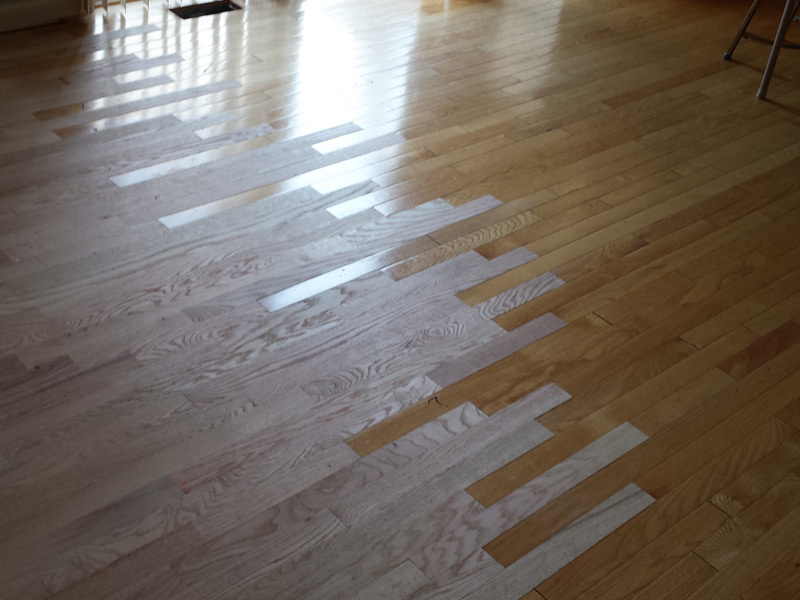 This is more cost effective for our customer when compared to replacing the entire wood floor. 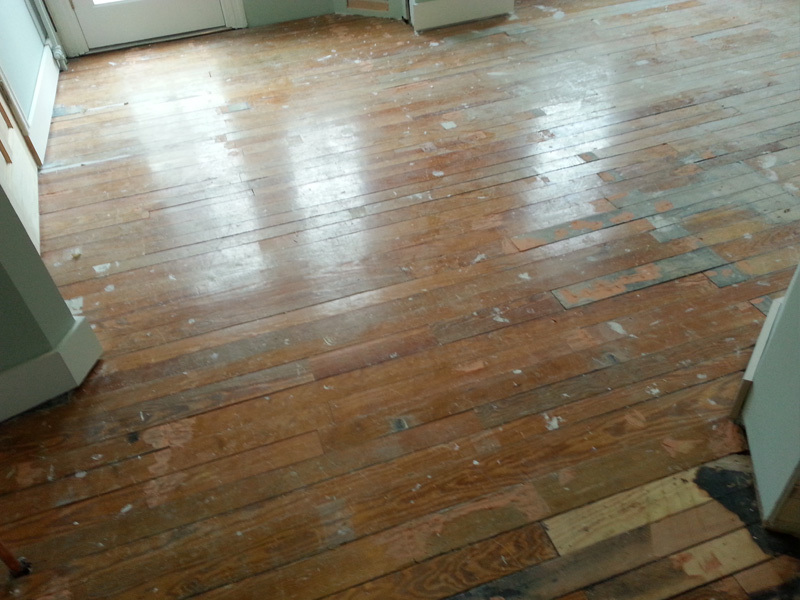 If the damage to your floors are irreparable through sanding, then we will move forward with replacing the damaged boards. 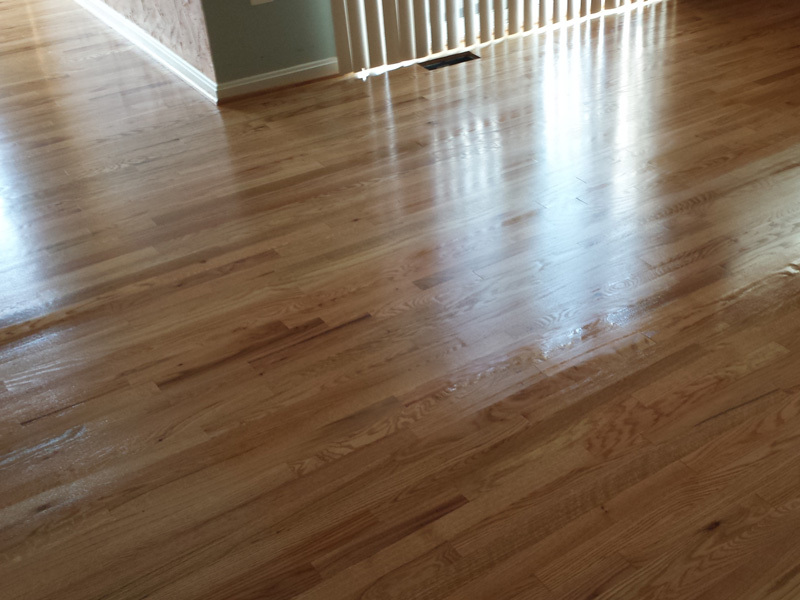 We will install the exact same flooring to match with your current floor. 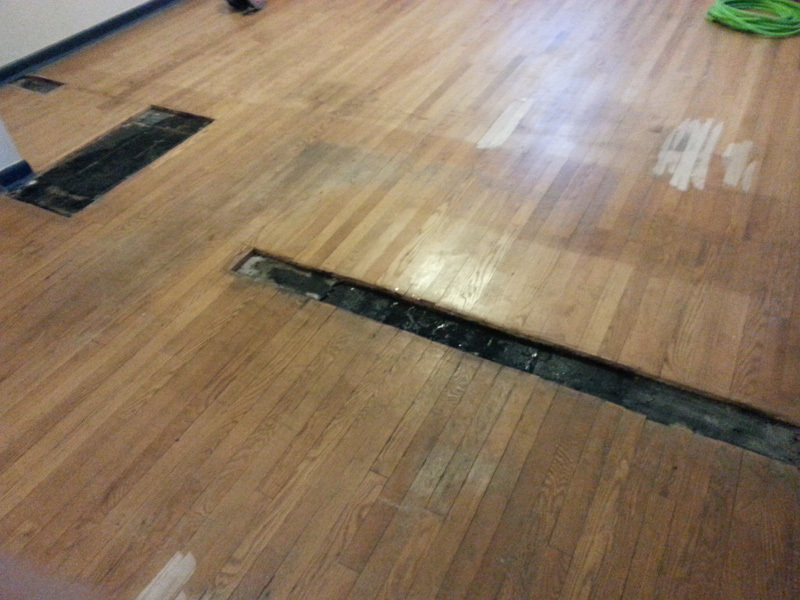 Our goal is to make the repair look like the imperfections were never there to begin with! 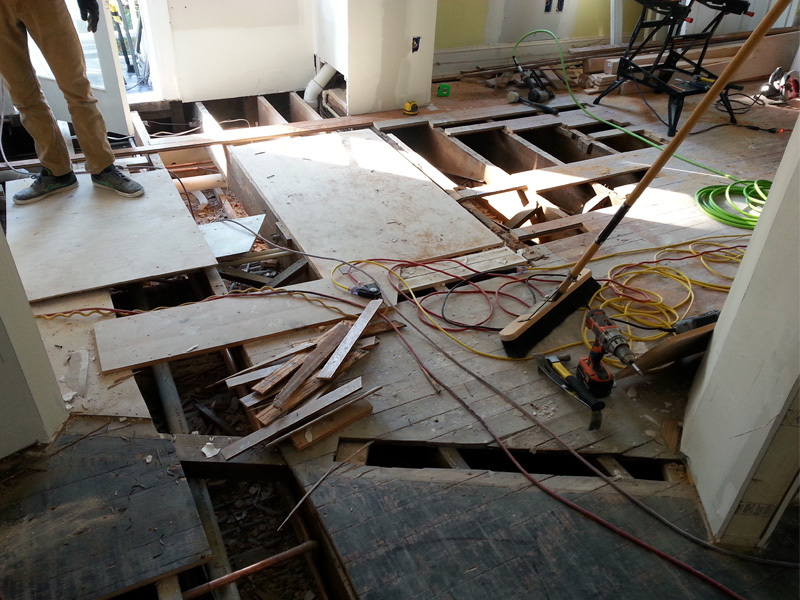 Below is a few examples of some repair jobs.